Mobile apps were originally developed to execute the same tasks that computer software applications could do. The difference lies in the nature of the device. Never changing mobile app trends will eventually destroys the mobile app sectors. 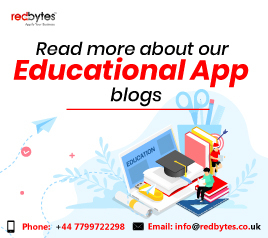 Designed to improve productivity, the app development segment is a key component of the software industry that has grown at a phenomenal pace. It has also changed how people manage their professional and personal lives quite dramatically. Companies in this field are constantly trying to bring in new products to the market and offer upgrades on their existing range at the same time by applying new mobile app trends. How do app developers do their jobs properly? What technologies are driving the change? How do companies stay competitive? Leaders in the mobile app field are offering users a holistic experience, leveraging the intensely personal nature of the mobile platform. Apps are not just the mobile version of a website anymore – they now make it an experience-driven and engaging environment for customers. Apps not only have a strong presence on the mobile platform but also promote a better level of interaction with the target audience. How Apps Have Changed the Way People Engage? The infographic below offers an idea of how apps have reshaped the way people work and live. Since competition even in this area is stiff, app development companies are always working on figuring out how to improve on app related functions, required resources to develop it and what mobile app trends should be used to develop it. Just like the apps, the technology used to develop them is also evolving rapidly and cross-platform progression is the norm. Not just that, computer chips are also getting faster and lighter in weight which is pushing software development allowing it to keep up with physical technology. One of the reasons app developers prefer cross-platform development is that it allows them to write code and tweak it slightly to work on multiple platforms with minimal or no effort at all. Such advanced work does fall under the expensive side and budget is a major consideration for many organizations when it comes to app development. What platform is your main target? Would you use app stores to market your products? What is your team’s capacity/capability? Are they technically advanced? Does a one-size-fits-approach work for you? Other than the availability of newer and better software to develop mobile apps at a faster pace, technological changes are -transforming the mobile app development sector and challenging it at the same time. 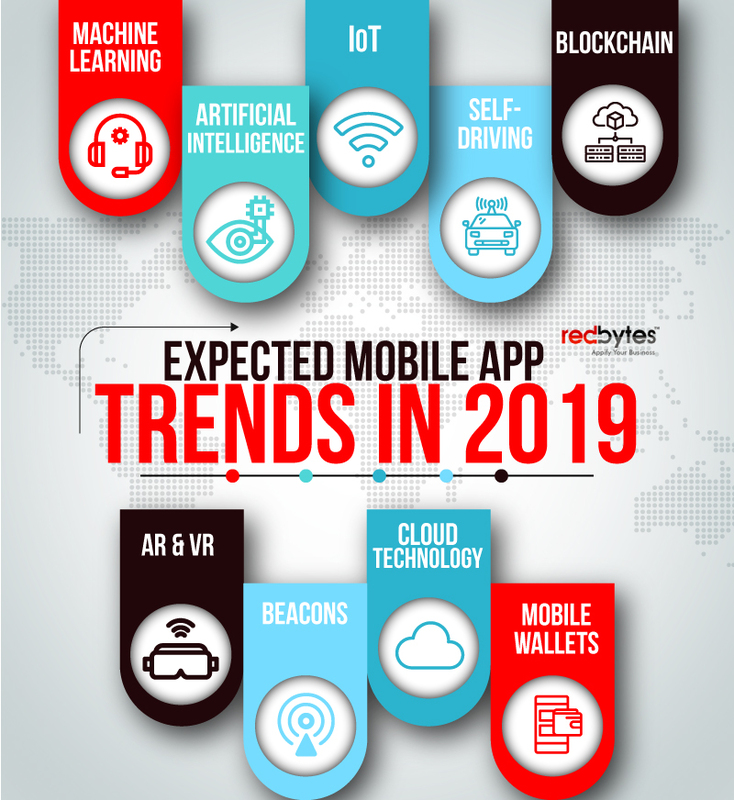 Here is a look at some expected mobile app trends for 2019 which will have a huge impact on developers and businesses. Even though AI has been around for years now, the impact of the technology has been only felt in the last few years. App developers can harness changes shaped by AI like machine learning to build real good applications. They will be able to deliver a user-friendly experience with an intuitive feel in the form of chatbots. Siri is a prime example of AI and machine learning in one package. Experts predict that. 75% of the workforce using ERP will now be able to leverage AI capabilities to improve productivity. The IoT technology is powering many devices including smart lights and appliances. Add a network of many physical objects which have sensors and software, and they can be programmed to connect over a mobile platform. Devices and apps like Fitbit can offer personalized programs to users and track their activities. App developers are also branching out to bring us technology like Echo, Alexa and Google Home – devices which connect to appliances within a space. This technology forms the backbone of cryptocurrency and can be used to power other industries as well. In 2019, we can expect to see Blockchain technology used more often to develop mobile apps which are decentralized in nature. What makes this special is that it cannot be shut down as it is not owned by a single company or individual. 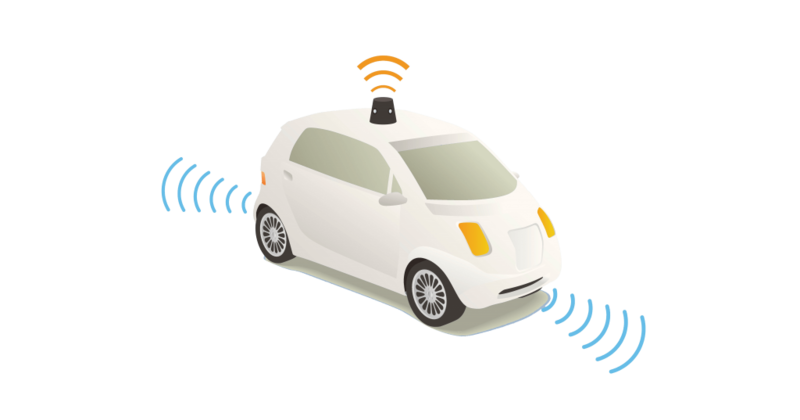 Automated driving related technology has already had a huge impact on the automobile industry. Not only is technology being developed to keep people safe in their vehicles via sensor use, but also to improve vehicle performance over time. Driverless cars are already in the deployment stage – who knows what else will be developed in this sector? Artificial reality and virtual reality are terms which sound contradictory in themselves, but this technology has been around for ages as well. Even though a lot of the software has been available, hardware capability is finally catching up. A lot of gadgets are now available which will not limit AR to just gaming. We can expect to see AR’s impact in areas such as marketing, healthcare, and even manufacturing. Beacons have been in use for a while now and their use is expected to get broader from 2019 onwards. Combined with IoT, their impact will be highest in the retail sector. Consumers can have easy access to information on sales and promos, make mobile payments and even see its use in automated machine learning. This is one element which has completely changed business investment models. Many companies have saved a lot of money by outsourcing storage due to reduced costs to host, better load capacity etc. 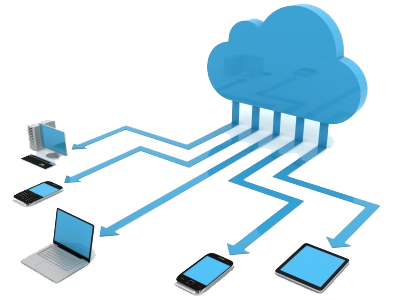 Many digital security related issues are also being addressed effectively as cloud technology has made app development more secure, reliable and very fast. The adoption of mobile wallets has gone up significantly with a shift towards a cashless society. Friction less payment methods are -the rage with consumers in different parts of the world. 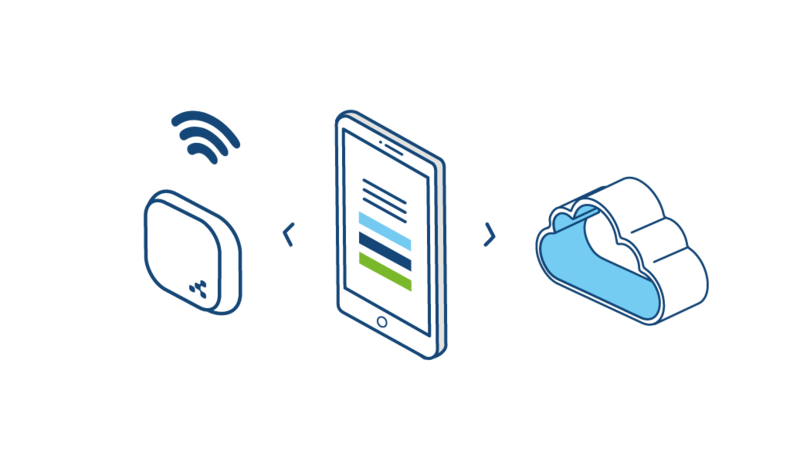 With integrated gateways for payment, mobile wallets currently have high levels of encryption. There are over 2 billion users of this technology around the world and numbers are expected to rise. This report also offers a lot of insights into other areas and how industries will be transformed by implementing the trends in mobile app sectors. Industry leaders fully expect sectors such as healthcare, transportation, median and the consumer goods markets to have the biggest impact from disruptive technologies in the next five years. Constraints on growth and innovation at the present time are restrictions from most government. 22% are of the opinion that there is a shortage in expertise and talent for different sectors. In fact, the fourth Industrial Revolution is underway. The rapid expansion and availability of innovations means that the only thing we can be certain of is change. There is no way to predict the effect and impact of such rapid progress. Developers will have to keep up with new technologies and be flexible enough to innovate or a struggle is inevitable. Though apps are becoming very common and an integral part of daily life, they are being used to simplify everything. Ordering food, watching movies, tracking health related statistics, making payments online – these are just a few aspects of how technology has not only disrupted the mobile app development process, it will continue for years to come. For the app developer, it is an exciting time.